Going North! 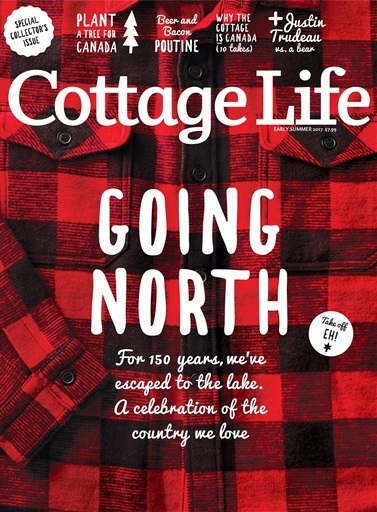 Cottage Life toasts Canada’s 150th birthday, with an exclusive interview with Prime Minister Justin Trudeau on what the cottage means to him, Canuck-inspired party recipes (beer and back bacon poutine, anyone? ), and essential flag etiquette. The issue also includes workshop intel every Canadian should have, renowned Canadian writers and photographers sharing their views on our country from the cottage, a peek into our national official cottage, Harrington Lake, and why now is the time to plant a tree at the lake. PLUS, meet an American who, after a lifetime cottaging in Canada, has a thing or two to teach us about summers at the lake. Don’t miss this one-stop guide to celebrating Canada at the cottage. 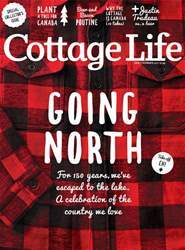 Below is a selection of articles in Cottage Life Early Summer 2017.